Print our ballerina template onto card and cut out. Cut the pleated side off the muffin case. Glue the muffin case around the middle of the ballerina to form her tutu. Make a hole in the top and tie some string through the hole to hang her up. 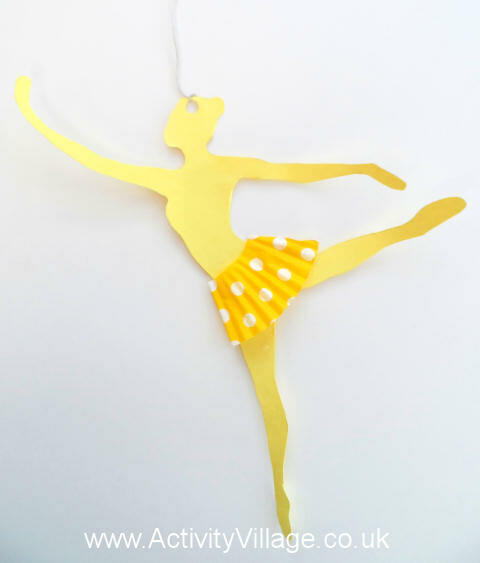 Make a pretty ballerina out of a craft stick and some simple craft cupboard supplies. Imagine a whole "corps de ballet" of these on display - how pretty that would be!